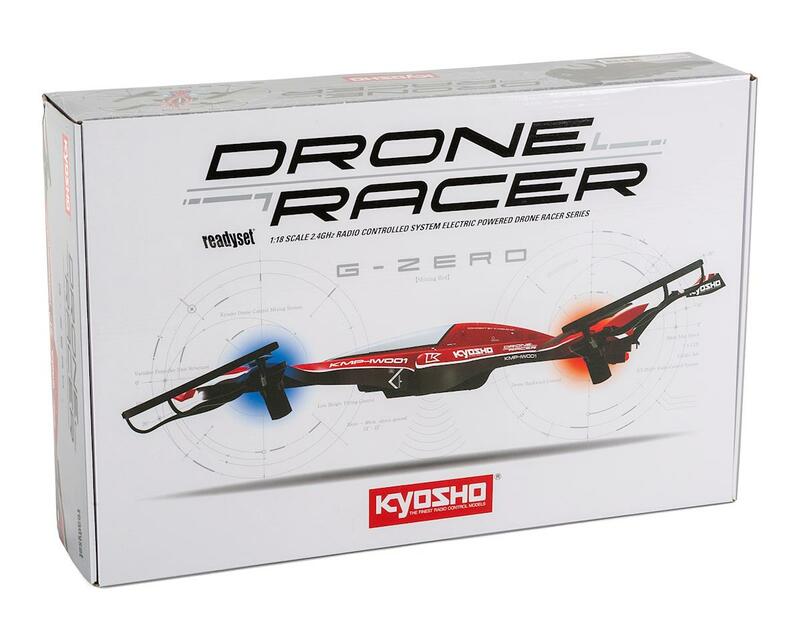 This is the Kyosho ZEPHYR Readyset Quadcopter Racer Drone with a 2.4GHz Radio System, Flight Battery and Battery Charger. 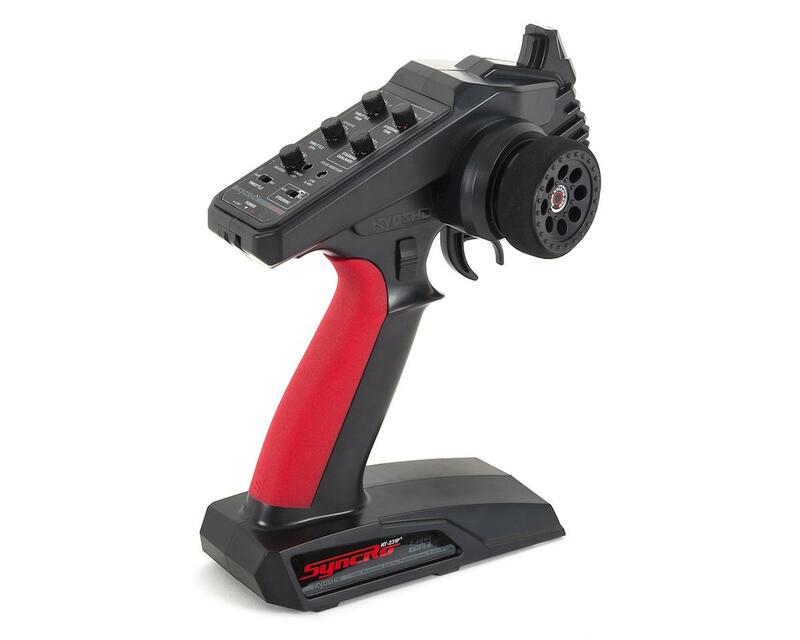 Unlike existing drones that are difficult to control, this sensational drone racer is controlled like an R/C car with a pistol-grip transmitter. Takeoff and auto-hover with one-touch control using ultrasonic sensors that remove the frustration of learning complicated flying techniques. Now you can experience the fun of drone flying at your own pace. Altitude is automatically maintained with ultrasonic and barometric pressure sensors. Altitude setting of 35cm or 60cm can be selected with a switch on the R/C system and one-touch control is used for takeoff, hovering and landing. 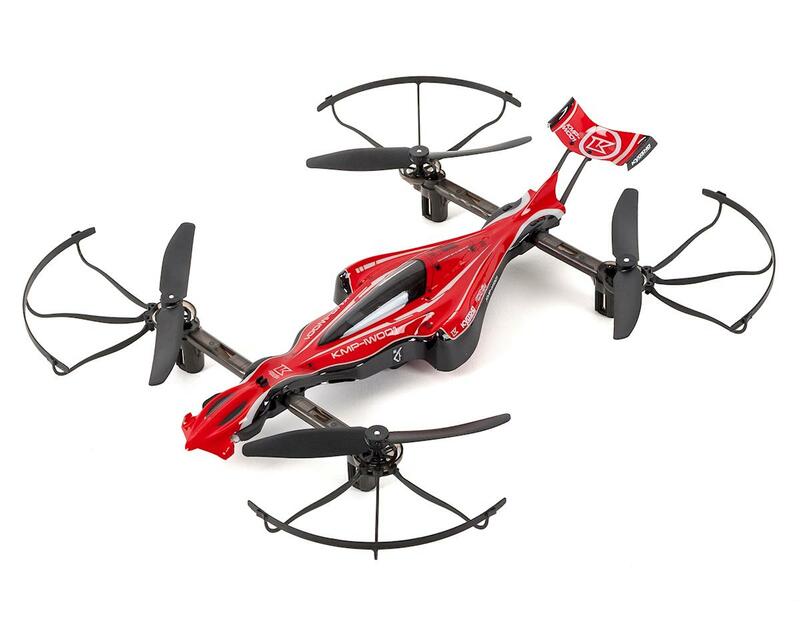 The drone racer is not designed for high altitude performance, but instead, for people to enjoy safe flying near the ground. Speed switching from "Easy Mode" or "Active Mode"